This truly is one lantern that can do it all! Summary : The number of features, light modes, brightness settings, and adjustability allow the Backcountry to transition seamlessly from night fishing to around the campfire. 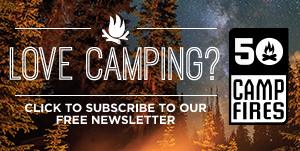 The camping lantern… This iconic piece of camping gear has stood the test of time as being a camping necessity. 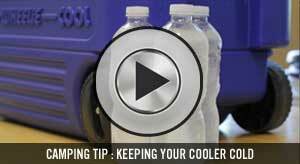 From playing cards around the campfire or lighting up a picnic table for a late-night snack. A quality camping lantern can really make or break your camping trip. Gone are the days where we have to settle for gas lanterns or a single type of light. LED technology completely opens the door to almost limitless possibilities in terms of brightness and light quality. Detach the globe to transform the Helix Backcountry into a spot or overhead light. It kicks out an impressive 150 lumens and has a runtime of 24 hours on low and 8 hours on high. With an IPX4 waterproof rating, I no longer worry about my lantern getting caught in a downpour. 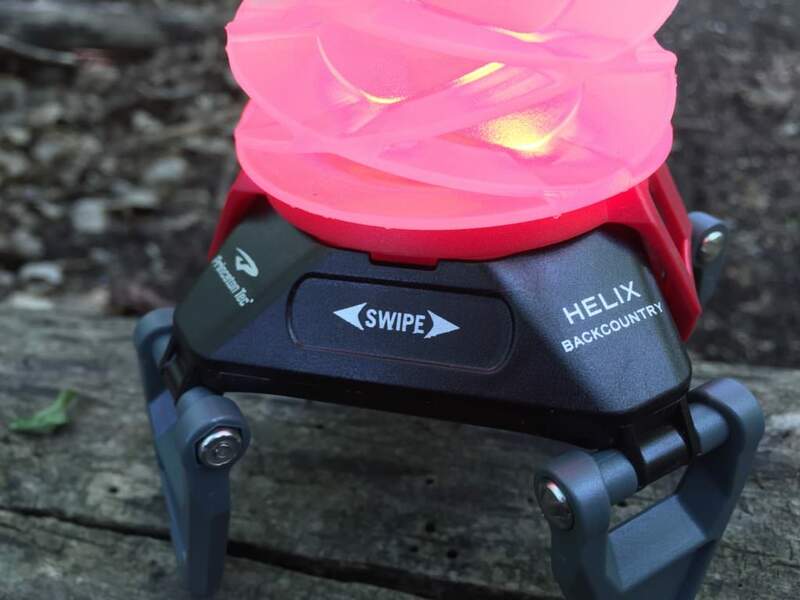 The Helix Backcountry has a truly unique control surface that is completely free of buttons. I loved the touch activated controls that allow you to adjust brightness and LED color with a swipe of your finger. The Backcountry also gives access to a 150 lumen white mode, dimmable to 30 lumens, as well as a dimmable red mode for low profile use. The number of base-hooks and metal handing hooks allows you to seamlessly turn your lantern into and overhanging light, back to a lantern, in a snap. 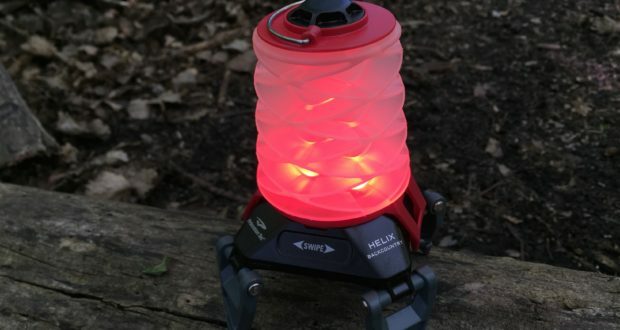 The Backcountry’s built in metal hook for vertical hanging, folding legs that raise it to increase lighting area, collapsible globe creates broad area light, and swipe activated control surface is packaged into one of the coolest looking lanterns on the market. The collapsible globe design not only adds to the overall appearance, it’s functional by allowing the Backcountry to store at half its normal size. 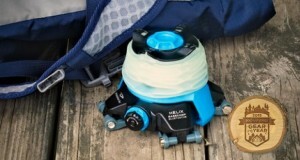 The Backcountry is the smallest Helix lantern in Princeton Tec’s line. At 5.5 ounces, with three AAA batteries, I don’t think twice about tossing it in my daypack or weekend camping bag with friends. Not only is it ridiculously light, it literally fits in the palm of your hand! The Backcountry is even light enough to hang from the ceiling on my tent. Without putting any stress on my tent poles. 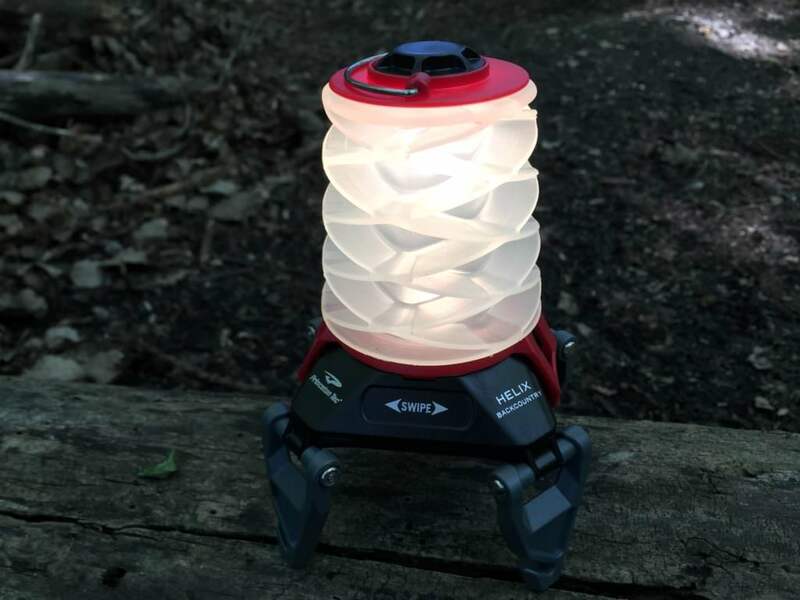 At $35.95 you get one heck of a camp lantern. And has tons of features and adjustability. The number of features, light modes, brightness settings, and adjustability allow the Backcountry to transition seamlessly from night fishing to around the campfire. This truly is one lantern that can do it all!